Is Meet the Mormons on Netflix United States? Yes! Meet the Mormons (2014) is available on Netflix United States. Meet the Mormons examines the very diverse lives of six devout members of the Church of Jesus Christ of Latter-day Saints. Filmed on location and across the globe, Meet the Mormons takes ... This film spotlights six diverse members of the Church of Jesus Christ of Latter-day Saints and their inspiring stories of service and redemption. 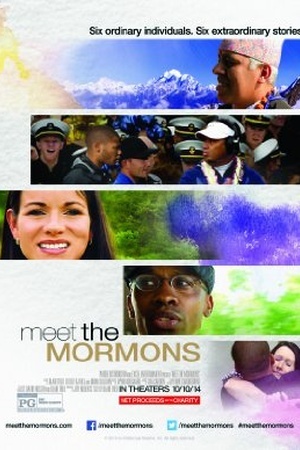 Check the Meet the Mormons (2014) trailer!